Team Maureen will celebrate 10 years of participation in the Pan Mass Challenge this August! Enjoy this video of our rides and all the reasons the Team members get on their bikes. Team Maureen hosted a theatrical screening of Someone You Love: The HPV Epidemic on January 5, 2015 at the Falmouth Cinema Pub on Teaticket Hwy in Falmouth, MA. 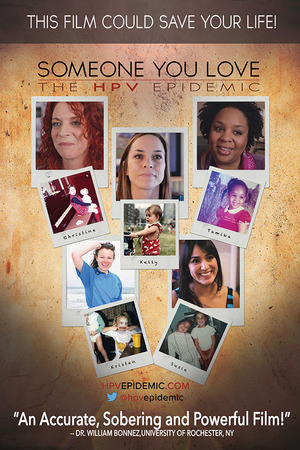 This poignant and powerful documentary shines light on the risks, myths, and hard truths of this widespread epidemic. Guest speaker and cancer survivor, Christine Baze of the Yellow Umbrella, who is highlighed in the documentary spoke about her experience working on the film! 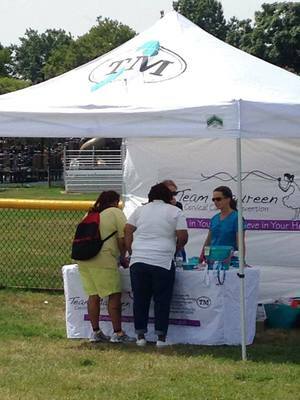 Team Maureen takes to the road, attending events all over Massachusetts where we can education the general public about cervical and other HPV related cancers. Find out where we will be next by visiting our event calendar. WANT TO SUPPORT OUR OUTREACH EFFORTS? MAKE A TAX DEDUCTIBLE DOANTION TODAY.